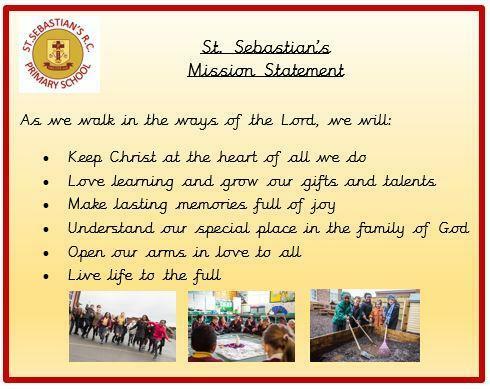 At St Sebastian's the values of faith, compassion, empathy, respect for all, diversity and being proud of who you are underpins all that we do. We actively promote an ethos of tolerance and understanding and use the the Arts as a vehicle to explore diversity and encourage positive attitudes to one another. Our whole school celebrations bring all the children together, building a sense of community and support for one another. At the beginning of this academic school year, the children from year 6 presented a speech to the school where they needed to explain why they would like to take on the challenge of being head boy or head girl. After their speech there was a general election in which each child voted for who was their favourite. It was a very close contest so it was decided that each term the role will be given to a different person. We would like to say a big thank you to our previous head girl Muna and head boy Henok for setting a wonderful example and representing the school well. We are positive they will make the school proud of them.